Developer: Button Mash Games Inc. Forbidden Island was the secluded retreat of an ancient mystical empire known as the Archeans. Legend has it that the Archeans possessed the ability to control the Earth's elements — fire, wind, water, and earth — through four sacred treasures: The Crystal of Fire, The Statue of the Wind, The Ocean's Chalice, and The Earth Stone. Because of their potential to cause catastrophic damage if they fell into enemy hands, the Archeans kept the treasures secretly hidden on Forbidden Island and designed it to sink if intruders ever attempted to claim them. 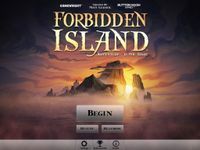 In the centuries since the mysterious collapse of their empire, Forbidden Island remained undiscovered...until now. Does your team have what it takes to breach its borders, capture the treasures, and make it out alive?